Gajar Ka Halwa belongs specifically to North Indian Cuisine. The gajar are first grated and then cooked on slow flame in milk.Gajar ka halwa is a combination of nuts, milk, sugar, khoya and ghee with grated carrot. It is a light nutritious dessert with less fat. This dish is popular among adults as well as children. Gajar ka halwa is prepared traditionally in indian kadhai. In this dish gajar is the key ingredient. Usually red carrots are used to make halwa as these are tender and juicy. You can grate the carrots manually or in a food processor. 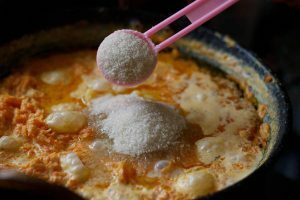 In this traditional recipe we use full fat milk, ghee, sugar and dry nuts, which makes it delicious and rich. After making it, you can store it in the fridge for a week. When serving, you can just warm the halwa and serve. 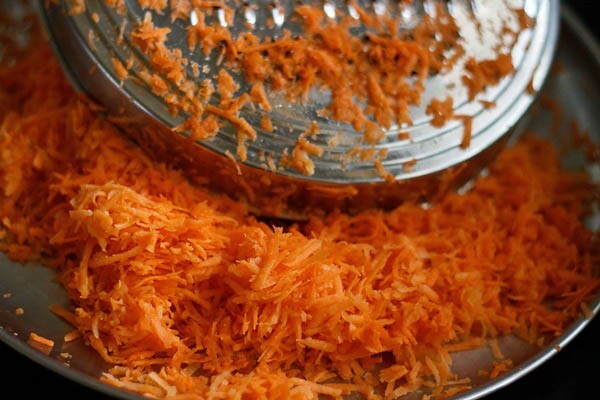 Wash and peel the carrots & grate them with the help of grater. 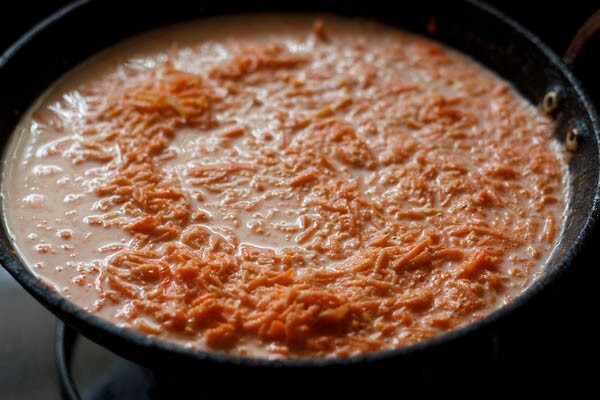 Take a heavy bottom pan or a wok.Transfer grated carrots and whole milk into the pan. Now gave a boil to the milk with continuous stirring so that it would not burn at the bottom of the pan. After a boil,sim the flame for half an hour till the carrots are done properly and mix well with milk. Now add sugar and keep stirring till mixture becomes dry. Now add ghee and mawa to the halwa & keep stirring till the mixture combines nicely. 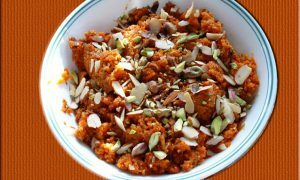 Transfer halwa to a serving dish and garnish with grated khoya & chopped dry fruits. 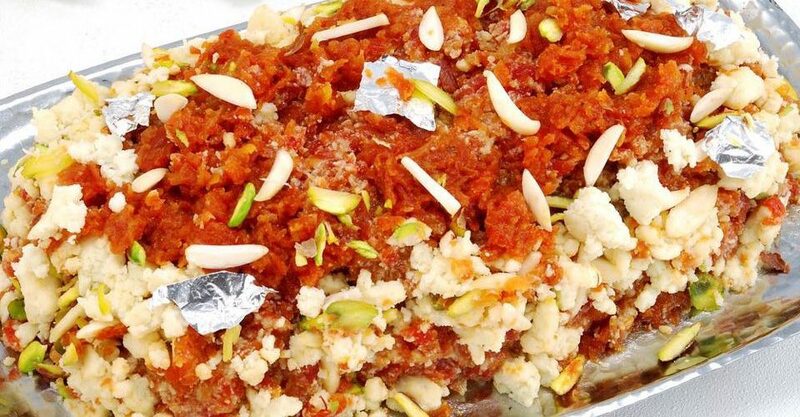 Enjoy your yummy & delicious halwa & welcome winter. Enjoy your Gajar Ka Halwa.